Submitted photo From left, 4-H educator Skylar Peters, 4-H volunteer Frank Bonson and program assistant Tiffany Erhard were among those recognized at the annual banquet for the Mifflin County 4-H program, held Jan. 26 at the Burnham Lions Club. BURNHAM — Mifflin County 4-H Leaders were recognized during the annual banquet on Jan. 26 at the Burnham Lions Club. Supported by Penn State Extension, 4-H relies on parent and adult volunteer participation to help youth reach their full potential. Volunteer leaders assist 4-H participants in all kinds of projects, events, and activities through county and special interest clubs. Volunteers recognized for their milestone years of service included Libby Blystone for her first year of service as 4-H camp nurse. Todd Shade, volunteer Poultry Club leader, was recognized for five years of service. Tim Blystone, Lamb Club volunteer, and Terry Weaver and Ike Good, Horse and Pony Club volunteers, were recognized for 10 years of service. Also recognized were Melanie Macknair, 4-H volunteer with 20 years of service, and Darv Yoder, 4-H volunteer with 30 years of service. Forty Years of Service Recognition was given to Debbie Filson, organizational leader of the Vira Community Club and Ron Soccio, Organizational Leader of the Rabbit Club. A volunteer was also chosen for the Outstanding Leadership Award. 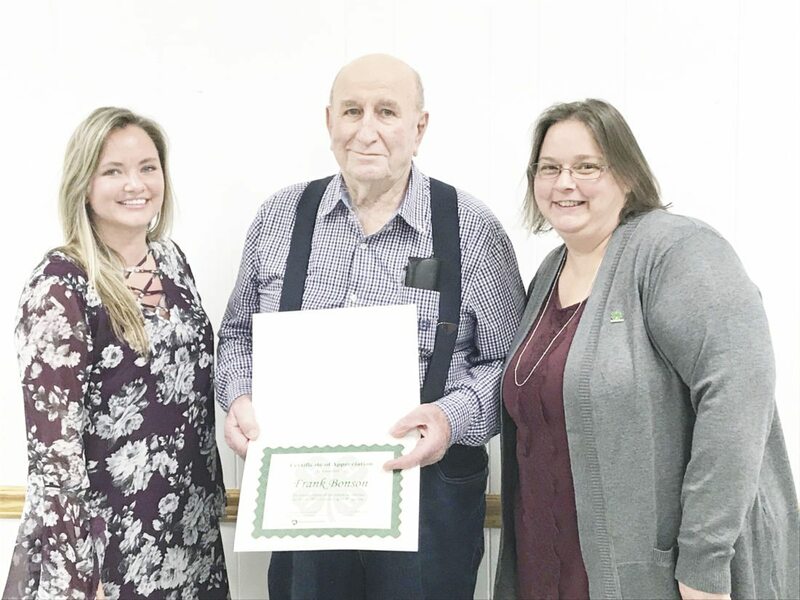 This award is given to the 4-H volunteer who has shown exceptional service to the 4-H program, going above and beyond with their efforts to “make the best better.” This year’s recipient was Frank Bonson. Frank was extremely instrumental in helping to organize and complete the cementing in the remainder of the livestock barns at the Mifflin County Youth Park. Without his help, the project would not have been completed. Frank was also recognized for 50 years of volunteer service. Additional volunteer leaders in attendance received 4-H emblem engraved glasses for recognition of valuable leadership and service to the 2017 Mifflin County 4-H program. 4-H is a non-formal educational youth development program of the Penn State Extension in the College of Agricultural Sciences at Penn State University. The program reaches 7 million youth in all 50 states, U.S. territories and military installations worldwide. It is the largest youth-serving program in the world with members in 82 countries. 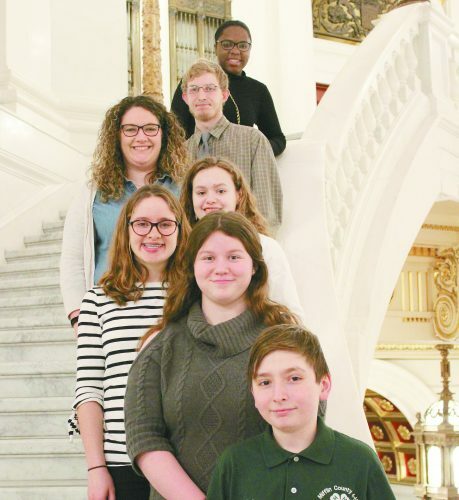 For more information on the Mifflin County 4-H program or to become a volunteer leader, contact the Penn State Extension Office at (717) 248-9618.